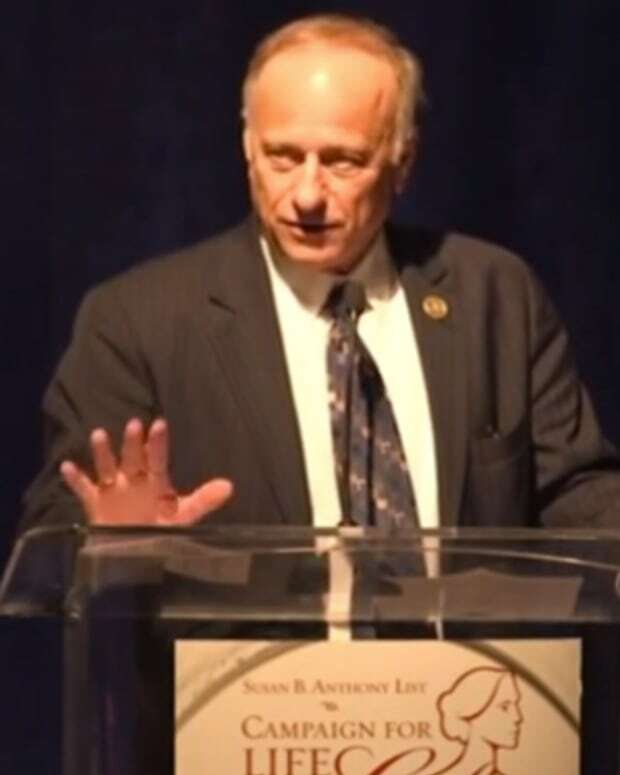 Speaking at the Values Voter Summit last week in Washington D.C., Rep. Steve King (R-IA) claimed that a victory over President Obama was a victory for God, but did not cite any biblical evidence for this claim (video below), reports PoliticsUSA.com. 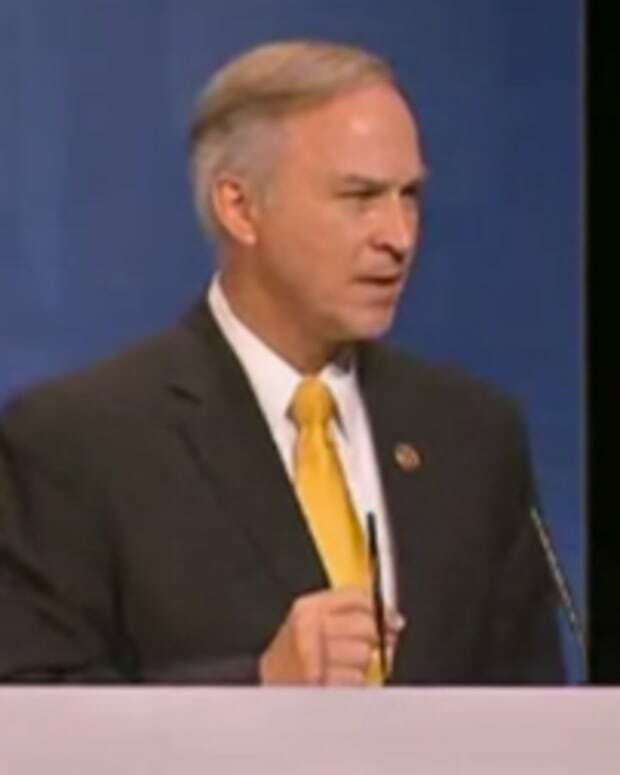 Rep. King said: "Pillar after pillar after pillar holding up this shining city on the hill and what are we faced with? the president of the United States and his leftist minions out there every day with their little jackhammers chiseling away at those pillars, undermining those pillars of American exceptionalism, attempting to bring down the shining city on the ills, turn it into rubble." "And they have no idea what they would build on top of the rubble but I know this: we are not going to let them do that. We are going to refurbish those pillars, we are going to strengthen the shining city on the hill. We’re going to serve God and country in that order. There is a fine future for the United States of America and we’re going to have a chance to live it and when that victory comes it will be His victory, not our victory, it will be in his time not our time. God bless you all. God bless America." 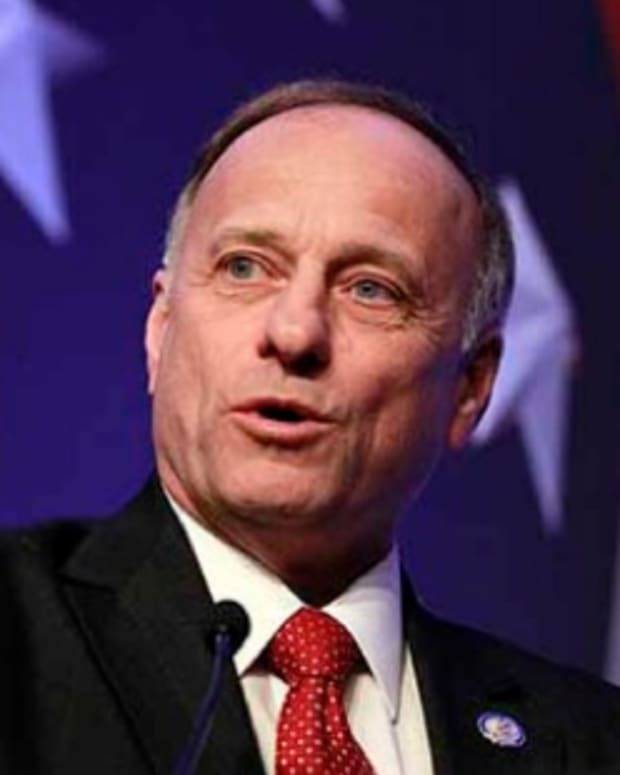 Video: Rep. Steve King Claims President Obama "Doesn’t Believe in Life and Families"